With their Singer Chamois (ChammyMoo) historic rally car build complete after a long seven months in the garage, Nigel Webster, FriesianRacing’s founder Henry’s dad in the drivers seat and Henry unusually in the navigator seat the crew set off for the Abingdon Car-nival. In recent years the FriesianRacing representation at the Abingdon event has been with Andrew and Joel in their Peugeot, but a very wet Sunday 12th June saw the debut of Nigel and the Historic Singer Chamois rally car. After months of work involving every part of the car and all its systems the 43 year old badge engineered Hillman Imp was taken to Abingdon Car-nival Stages rally to give it a shakedown before going into the Welsh forests and tarmac of Epynt! The driver, considerably older than the car, last competed in off-road motorsport in the 80’s, was very rusty. The Chamois (or “Shammy Moo”), who wasn’t rusty, performed faultlessly throughout what must have been the wettest day of the year. She shipped a wee bit of water inside, Henry said “all rally cars do that”, the gear lever knob came loose and the wind caught the lightweight GRP bonnet (boot lid in the case of the Chamois!) and damaged the hinge mount. The very minor issues were quickly solved by ‘safe hands’ Andrew who did his usual thing of scouting round the service van for the most unlikely of things to effect a ‘jury rig’ repair. Andrew was supported as usual by Sue plus Geoff and Linda Taylor. 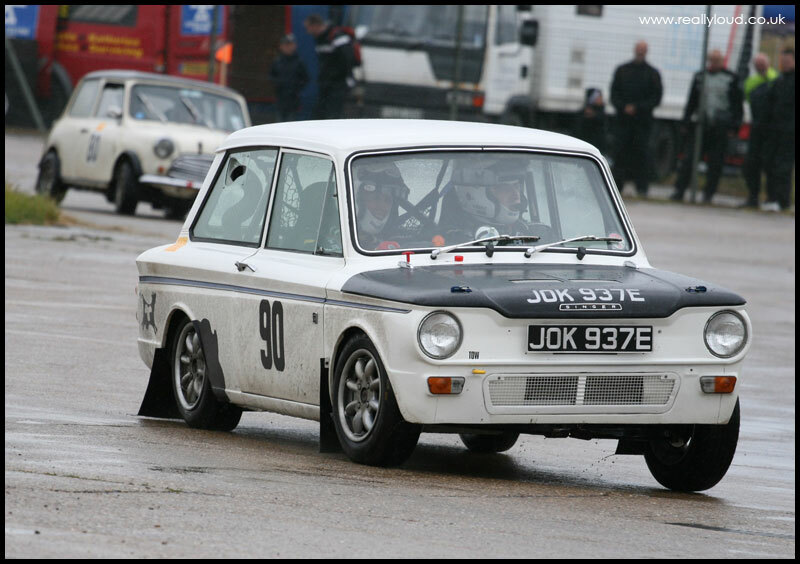 Geoff is currently lying 12th in the British Historic Rally Championship with his Imp. Excellent grip from the Dunlop Motorsport historic tyres and rear engine/rear wheel drive didn’t prevent a tentative driver from braking too early and losing valuable time. In the fast technical bits around the buildings and containers of Dalton Barracks, Abingdon, the Chamois was very quick and up with the much more powerful ‘moderns’. It was the acceleration out of the corners, straight line speed and early application of brakes that meant that we did make much progress up the field – although having given away 300cc to the next lowest capacity car we did well not to come last by finishing 47th out of 100 and 7th in class. Not bad for first time out, the oldest car, smallest engine and (nearly) the oldest driver on his stage rally debut! We plan to compete in Class B1 (up to 1000cc for cars built prior to 31/12/1967). The car can only use those modifications that were homologated at the time (ie: no electronic ignition, ’period’ brakes etc) and only those engine and transmission modifications used in the 60’s. 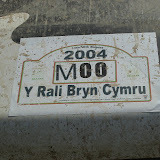 We’re trying out ChammyMoo for the first time in the stages tomorrow at the Abingdon Car-nival. The team are signed on and Chammy has passed scrutineering. We set off at 0940, with Nigel at the wheel and Henry on the maps. It would be great to see some Friesian Racing supporters there, especially as the event is for charity.